A Conversation with Billie Milam Weisman: President and Director of the Frederick R. Weisman Art Foundation | Jill Thayer, Ph.D.
June 11, 2012 · by Jill Thayer, Ph.D.
A number of years ago, I had the privilege to work with curator Billie Milam Weisman during my master’s thesis in presenting the exhibition Made in California: Selected Works from the Frederick R. Weisman Art Foundation at the Todd Madigan Gallery at California State University, Bakersfield. The experience led to my doctoral pursuit at Claremont Graduate University. Her exacting standards and attention to detail are the hallmark of her curatorial practice, which contributes to her success as president and director of the foundation. 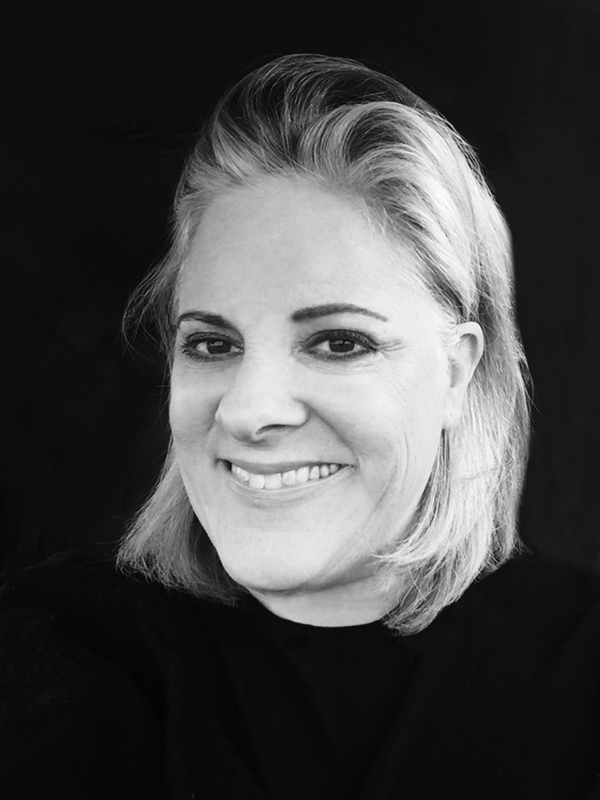 Today, Billie Milam Weisman continues to play a multifaceted role in the endeavors of the Frederick R. Weisman Art Foundation, yet her professional acumen appears effortless, as she embraces the task with exuberance and collective savvy from her many years as an art conservator and exhibition curator. Her persona reveals the wit and wisdom of one who has accomplished much in life, and beneath it all she exudes a passion for her work – and her late husband Frederick R. Weisman, an extraordinary entrepreneur, philanthropist and art collector. More than 1,500 works of art are in the collection, with 400 works on display at the foundation. The collection includes works by European modernists including Cézanne, Picasso and Kandinsky as well as Surrealist works by Ernst, Miró and Magritte. The holdings in postwar art include works by Giacometti, Noguchi, Calder, Rauschenberg, and Johns; Abstract Expressionist paintings by de Kooning, Francis, Still, and Rothko; Color-Field paintings by Frankenthaler, Louis, and Noland; and Pop Art by Warhol, Lichtenstein, Oldenburg, and Rosenquist. Contemporary California works include those by Ruscha and Goode, and super-realist sculptures by Hanson and de Andrea. Upon arrival, Billie greets and leads a tour of the lush estate as we nonchalantly pass by the likes of Moore and Botero. Entering the house, Kandinsky, Still, Rothko, de Kooning, Miró, Segal, Hanson, Feuerman, Noland, and Rosenquist await … and we’re still in the foyer. Our gaze ricochets over mind-boggling original works both inside and out of this 1920s Mediterranean-style villa designed by Gordon B. Kaufmann. Though eclectic, the art in each room seems to fit the space well and reminds us of what it was like to live with such treasures on a daily basis. There’s a comfort here that makes the viewer want to curl up on a chaise and read a good book, and with Picasso on the mantle, how much more cozy can this be? In 1991, a contemporary structure, or “art annex,” was designed by Franklin D. Israel to accommodate larger scale works. The foundation estate, annex and surrounding gardens are made accessible to the public by appointment exclusively through guided tours. I sat down with Billie to discuss Frederick R. Weisman’s legacy, the endeavors of the foundation and its relationship to contemporary culture, and what she brings to the table. Andy Warhol, Frederick R. Weisman, 1984 acrylic on canvas; two panels: 40” x 40” each. PHOTO COURTESY OF FREDERICK R. WEISMAN ART FOUNDATION, LOS ANGELES. USED BY PERMISSION. Jill Thayer: Billie, can you speak to a few of the pieces that stand out in some of the rooms? Billie Milam Weisman: Each of them speaks to me in different ways on different days – the way the light hits the pieces, the mood you’re in. So there’s something for every day of the year and then some. The beauty of some of the classics, the Clyfford Stills, the de Koonings … Fred would answer this question by asking you if you had children; in other words, you love them each in different ways. JT: What about the foundation’s lending from the estate? One of our pastel works by Miró is currently exhibited in Barcelona at the Miró Foundation. We like sharing art with the institutions, although part of our mission requires us to maintain the estate as an accurate example of how we lived with the art in the late 20th century. Thus, we can only lend from the house on rare occasions, but we are able to regularly lend from the inventory not on view at the estate or in one of our traveling exhibitions. As we speak, Billie is preparing a trip abroad to attend Art Dubai 2012 and meet a collector group, then on to Barcelona for the Miró exhibition. JT: As president and director of the Frederick R. Weisman Art Foundation, your work evolved from a partnership with your late husband, Mr. Weisman. What is your role at the foundation? BMW: A little of everything. Curating, designing, and installing exhibits outside the foundation; visiting artist’s studios and galleries; attending auctions; and most important, making sure the foundation and its collection is accessible to the public. Billie received her master’s in art history from UCLA and did post-graduate training in art conservation at Harvard. She then worked as head of sculpture conservation at the Los Angeles County Museum of Art and in decorative art conservation at the J. Paul Getty Museum. BMW: After I graduated, I kept myself very busy working full time at the museum, as well as consulting for the trustees at the Los Angeles County Museum, which is where I met Fred. While away on museum business, I almost died from a ruptured appendix and peritonitis, afterwhich Fred and I eventually got together. JT: I didn’t realize that. Was this in the mid-80s? BMW: Yes. He was so attentive and kind, and even brought me boxes of raisins to build the iron in my blood, and thereafter, the relationship eventually evolved. I was a career person and very dedicated to my work, and then it went from “Mr. Weisman” to “Honey,” and that was a very difficult thing for me. I was known for being the independent working girl, then all of a sudden [I was] on a wealthy man’s arm! This was a huge step, and it was very frightening, as I did not want to lose my identity, which I prided myself on. While I was with Fred, I still worked full time at the museum, as well as continued with my freelance work. I began working more with Fred, doing exhibitions and conservation for the foundation. Later, when Fred became terminally ill, I spent all of my time with him. After his death, I went back to my private conservation. Soon, I realized that what Fred had built was too important to only give it partial attention. Ninety to ninety-five percent of his estate was left to the Art and Philanthropic Foundations. I shut down my private business and devoted my full attention to the foundation. JT: What year did you step into this role? BMW: Fred passed away in late 1994 and I slowly devoted more and more time to organizing the foundation, and within a couple of years I gave it my all. I finally felt confident that I really had to do it this way. However, giving up my conservation business was very difficult for me. JT: The collection includes modern and contemporary artists of the 20th century ranging from Cubism, Surrealism, Expressionism, Pop and beyond. Can you share how Mr. Weisman’s interest began and what led him to amass such a vast array of works in these various movements and genres? BMW: Fred moved like lightening. He wanted everything that was going on today. When he first started collecting in the ’50s, it was postwar art. He started with European artists like Soulages and then he gravitated toward the New York school. He and his first wife Marcia Simon Weisman had met various artists through Ben Heller; then, he just took the ball and ran with it. Irving Blum recently paid Fred the nicest compliment, “Fred had an astute eye. He could absolutely walk in and sift out the very best no matter where he went.” Some people may attribute it to others’ influence, but he said, “Absolutely not. Fred knew.” And he did. We would go in a gallery and walk around, and his fingers would gesture in excitement. I never had the confidence to go for it. Fred would tap his chest and say, “You have to trust what’s in your heart, then go for it. You have to trust your instincts.” And I never learned that in school — I was intimidated by the selection process. Fred taught me confidence, something more important than that which I learned in school. Throughout our conversation, Billie shares anecdotes of her and Fred’s art escapades. The Boteros are larger than life. Adam and Eve were out in the garden and the neighbors asked if we could please grow the hedge higher. Fred thought, if big is good then bigger is better, so we grew the hedge even higher and craned in the even larger female torso, and Adam and Eve were moved to the pool area. Sometimes we had midnight capers and we’d move things around during the night, and the staff would come in and wonder where things were. I used to swear that Fred slept with the hammer and nails under his pillow, but I was wrong — it was in his nightstand. He would wake me up in the middle of the night and want to re-hang something! JT: Frederick R. Weisman stated: “I don’t think there is anything that communicates better than art. It is quicker than language and clearer than philosophy.” This signifies his belief that art crosses languages and cultures. In today’s media-driven world of global communication, this construct is as relevant today as it was then. How do you think Mr. Weisman would view art today in the current socio-political climate? How do you perceive its value and its function? BMW: It continues to be so significant. First of all, it elevates one’s soul to a higher place. It inspires us to higher levels of achievement and more creative thinking in whatever field one pursues whether it be medicine, or science, or anything else. It helps us to view the world through the perception of others. Today, many of the artists are influenced by the financial crisis, so you see a lot of work with currency in it. You also see social commentary, nature, ecology and truly beautiful things in our environment. In Southern California, we have so much creativity and beauty between the light and the vibrant color. I think that he still would continue to evolve because he wanted to know everything that was going on today, not yesterday. We never backtracked and filled in blanks. We kept moving forward. JT: Tell me about juxtaposing established artists with those emerging in the collection. BMW: Introducing younger artists and shuffling them in between more established artists gave them more credibility. As Fred would say, “If it holds up, you put it right in between!” It causes people to stop and pause and say, “Wait a second, even I can afford art.” There’s art everywhere in my community, down the street or wherever. You just have to develop an eye — you don’t always have to find it in New York or London, or with a famous name or an expensive price tag. JT: What do you look for in emerging artists? BMW: Something that hits me right here. Something that is aesthetically refined that has a statement. It stands out from the other pieces and evokes an emotional and passionate response. JT: The collection is made accessible to diverse viewers, including older school groups. What reactions do you get from the children who experience the art first hand? Do any pieces in particular stand out to them? BMW: I love to see the kids enjoy it and they usually get it before the adults. As adults, we learn to suppress many of our natural responses. Society takes away our spontaneity. Children help us to rediscover the beauty of all the things we have been de-programmed to experience — many of these natural things that are found in contemporary art. The foundation continues to make the collection available through loans to museums worldwide, docent tours at the Los Angeles estate, exhibitions in publicart venues and the funding of several art museums including the Frederick R. Weisman Museum of Art at Pepperdine University in Malibu and the New Orleans Museum of Art. JT: I am always taken aback each time I visit and the Kandinsky is right there when I walk in the foyer. It’s just this little jewel. BMW: Isn’t that great? Just like an old friend meeting you at the front door. JT: Indeed. What are future goals for the Frederick R. Weisman Art Foundation? BMW: I hope to organize archival material so we can eventually produce a documentary on Fred and the foundations. We hope to continue our mission of exhibitions and sharing art tours of the estate. We recently overcame a major obstacle, as we are now zoned as a cultural institution in a residential area. Therefore, we must continue to be courteous of our neighbors. It was Fred’s dream that the foundation be maintained indefinitely as an example of living with art in the late 20th century. In other words, a house museum like the Peggy Guggenheim Museum in Venice or the Frick in New York. Frederick R. Weisman commissioned Warhol to create portraits of the family every 10 years, which are in the collection with other works and cultural icons. JT: Tell me about this piece [pointing to a portrait of the couple above a red love seat]. BMW: That was done in ’93, and it is a portrait of Fred and I by Los Angeles artist Beau Bradford who was a protégé of Warhol. JT: It seems as if his spirit is continuing through your work and passion. BMW: I find your loved ones live on if you can carry on for them. Unfortunately, after I lost Fred, I’ve had many other losses. You just do your best to carry on and you realize what a great gift it was to have had them in your life for as long as you did. And I guess I must have chosen quality versus quantity … and that’s what I had, and that is from where I get my inspiration to carry on. I believe the best tribute you can give to your lost loved ones is to carry on and try to make them proud. JT: Thank you Billie, for your time in sharing the collection. This entry was posted in Art History, Artist Emergence, Artist Profiles, Exhibition Theory, Professional Practice, Visual Culture and tagged Artist Interviews, Artist Profiles, Artvoices Magazine, Billie Milam Weisman, Contemporary Art, Frederick R. Weisman Art Foundation, Jill Thayer Ph.D.. Bookmark the permalink. Great article. The back story on this is just as interesting. Fredrick Weisman was first married to Marcia Simon, the daughter of Meyer Simon, a wealthy businessman. Her brother was Norton Simon. Yes, the Norton Simon of the Museum. Fredrick worked for Meyer Simon at the Val-Vita Cannery at 17 years old where he eventually became the President. Norton Simon inherited the cannery and acquired Hunt Foods from the Hunt Bros. And the rest is art history. Of course, I’m sure you know, Marcia is depicted in Hockney’s Beverly Hills Housewife. 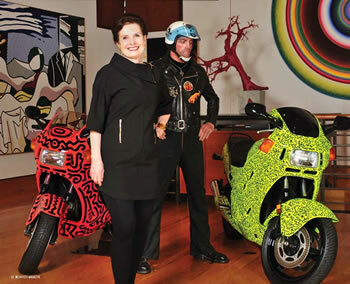 Marcia was a relentless collector of contemporary art and a shrewd business women in her own right. In 1980 she earned as much as $5000 a month teaching other Beverly Hills housewives (personal knowledge) how to collect art to support her collection habit. She closely tracked the value of her pieces and if one lost significant value she donated it a museum for the full tax right off. So together, Fredrick, Billie Milam, Marcia and Norton played an important role in art, particularly in contemporary art. Thanks for sharing your valuable comments that are an important part of this rich history.